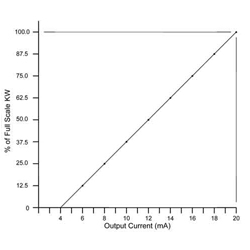 The 17.81mA output current would be fed into a device with a 4-20mA current input which contains a precision 250 ohm .1% resistor which converts the current into a usable voltage between 1.0VDC and 5.0VDC which is readable by the devices’ A-D converter. In addition to converting the pulse to an instantaneous kW level, the PCL-1 contains an Average output mode that can output a current that represents the calculated kW average similar to the electric meter’s Average kW calculation on a 1, 2 5, 10, 15, 30, or 60 minute average interval. The PCL-1 is programmed using a free software program called the pcl-host.exe and communicates using the PCL-1’s USB port. 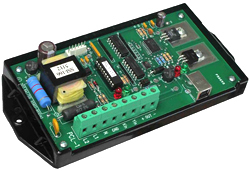 In summary, the PCL-1 is a simple and easy, low cost way to convert pulses to a usable analog voltage level that can be used by many systems. Next Article: New Products, New Products, New Products!